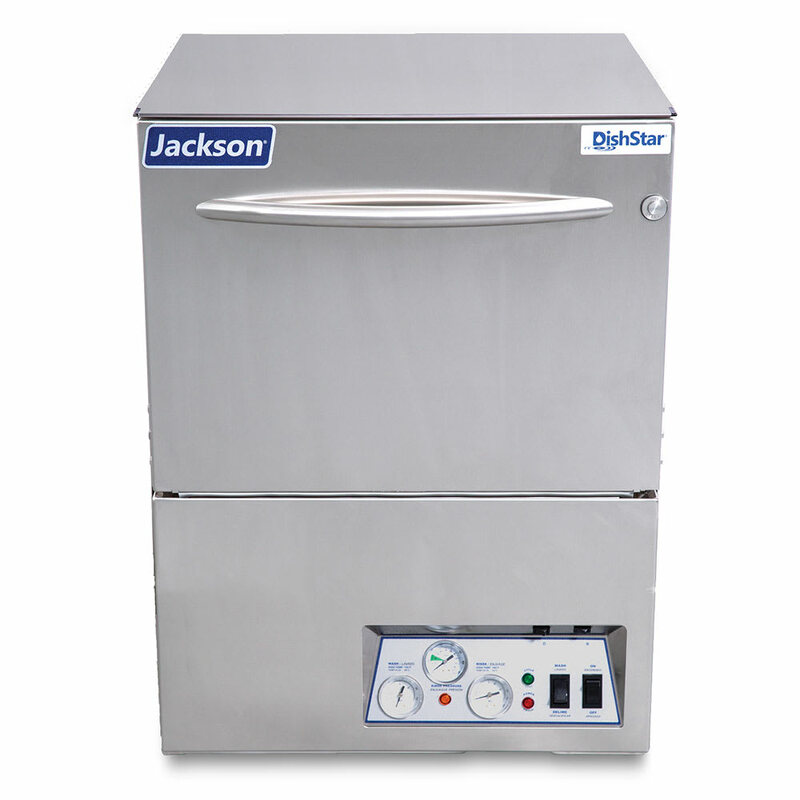 The Jackson DISHSTAR HT undercounter dishwasher is ideal for smaller operations that need a dishwasher. Up to 24 racks can be run through the machine per hour. Each rack washed requires 1.1 gallons of water, while the machine uses an average of 26.4 gallons of water per hour when operated continuously. Water automatically fills into the compartment during the 2-minute wash cycle. A door switch keeps the door closed during the cleaning cycle. One peg and combo rack is included with the dishmachine. Scrap baskets sit above the water so food scraps do not sit in the water. 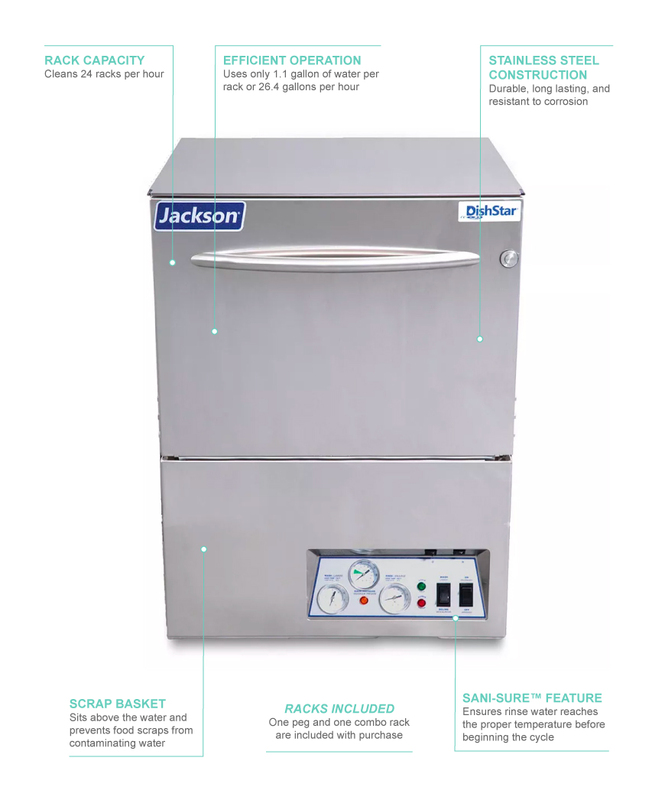 A built-in booster heater ensures water is at the proper temperature to clean dishes since the Jackson DISHSTAR HT undercounter dishwasher cleans dishes using high-temp water. Sani-Sure™ also ensures that rinse water is at proper temperatures. 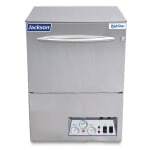 The stainless steel construction of the unit is durable and resistant to corrosion. Washes as many as 24 racks per hr.